Welcome to our web site’s sitemap! We’ve made this page especially for customers and visitors looking for access to all the pages we have on our site. Enjoy! and our contact details page. Here is where you can read reviews about our carpet cleaners’ work in and around London: customer reviews and testimonials, and this is where you can add your own reviews about Magic Carpet Cleaning, thank you! and we give free carpet cleaning advice by phone or e-mail! All these areas have additional pages about boroughs and districts in London where our carpet techicians do their work, have a look and see if you can spot an exclusive discount for your area! Here’s a look at frequently asked questions from our industry — you can add your questions there, as well! And we have a London blog especially set up for you (this is our blog archive for 2012, 2013 and 2014, too). We are active on social media, so you can connect with us on our Facebook page, our Twitter account, and on our company page on Linkedin. 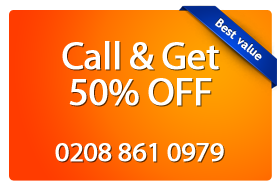 North West London branch: Magic Carpet Cleaning. We’re very active on social media, so give us a shout with any problems or carpet cleaning advice you might require, and we’ll get back to you really quick!